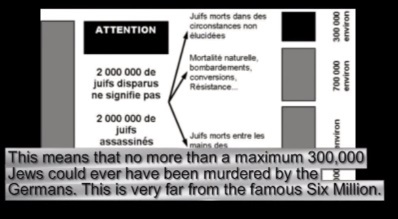 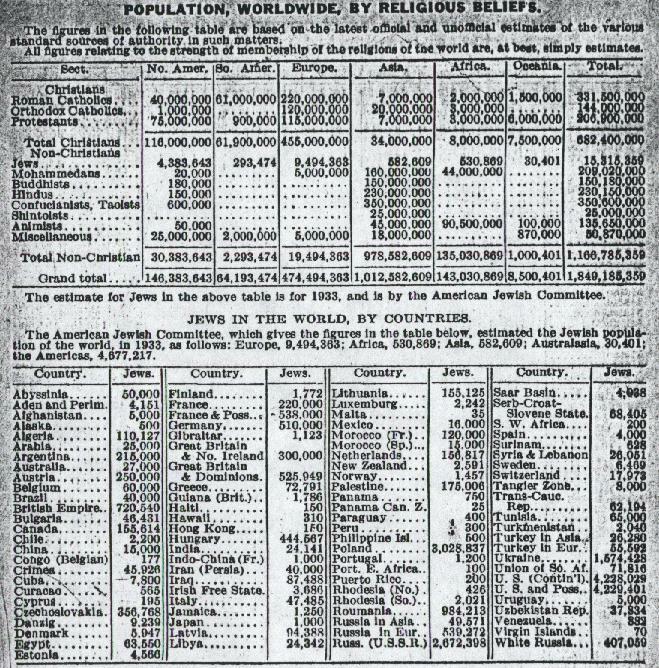 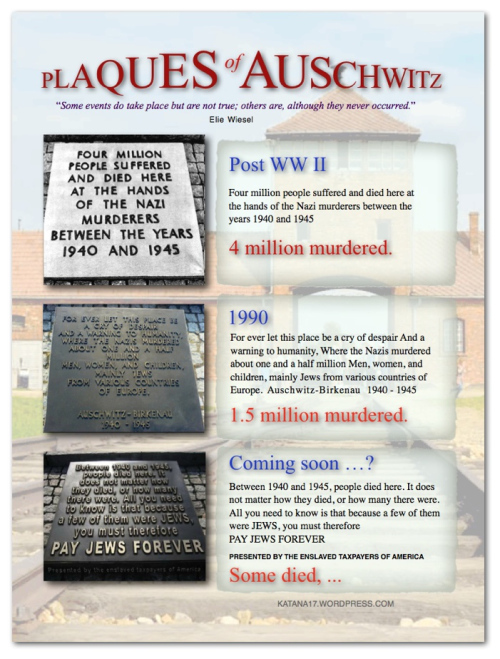 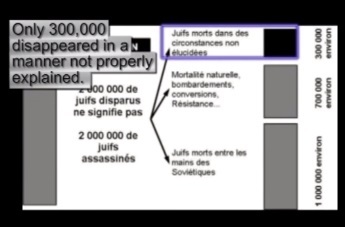 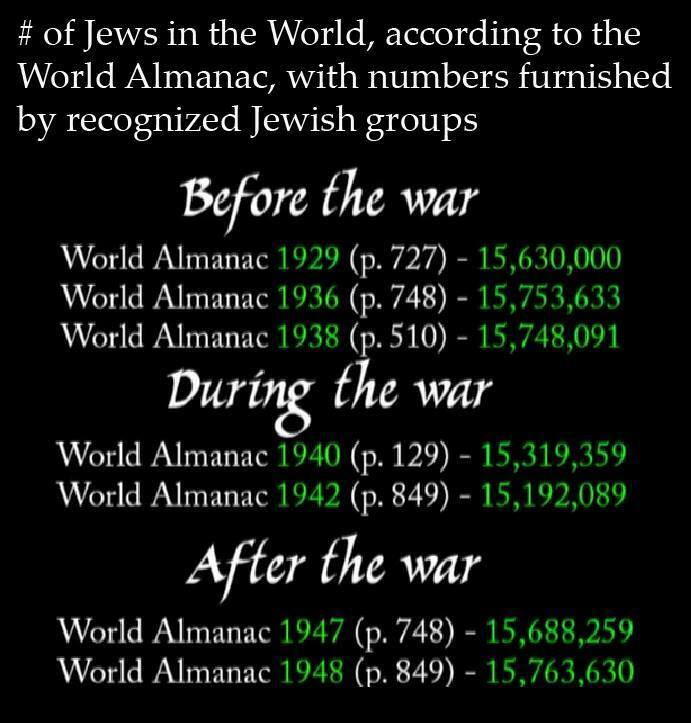 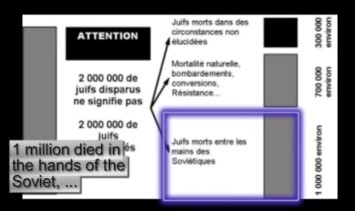 Before and after the "Holocaust" according to the World Almanac the world population of Jews increased (!) 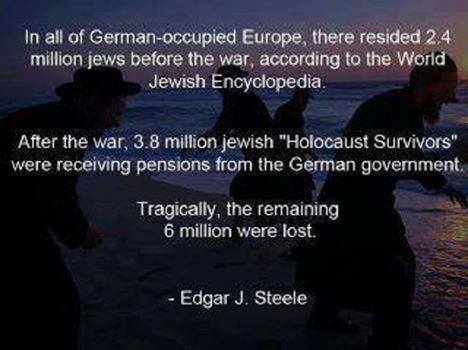 between 1933 and 1948 from 15,315,000 to 15,753,000. 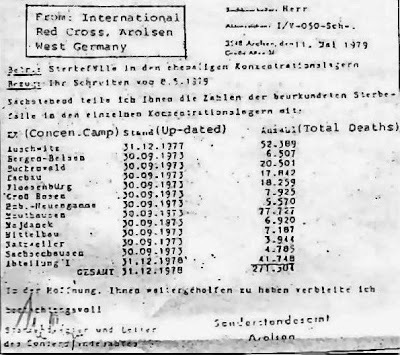 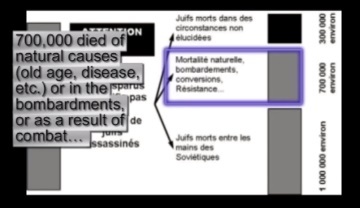 Before and after the "Holocaust" the official three-volume report by the International Committee of the Red Cross, released 1948 in Geneva, according to which 271,304 concentration camp inmates died in German custody, about half of them Jews.